Every once and a while an emerging technology lends itself to the most fascinating large door designs. One such company located in the heart of the Pacific Northwest specializes in the only large wooden doors which can be which can be guaranteed to remain warp-free for 50 years. While this uniquely positioned company hailing from McCleary, Washington (coincidentally the home of renowned and unrelated Simpson Door Company) has established itself as the leader of large pivot doors and large sliding doors up to 50 feet tall and/or wide which not warp, bend, twist of otherwise fail (including full structure warranty). You are most likely to find these big doors in multimillion dollar homes, commercial and industrial installations around the United States and the world. A 50-year warp-free guarantee is a tall order in tall doors, especially in a day and age when oversized doors are rarely, if ever, covered by the warranty which might cover the rest of the facility or project. 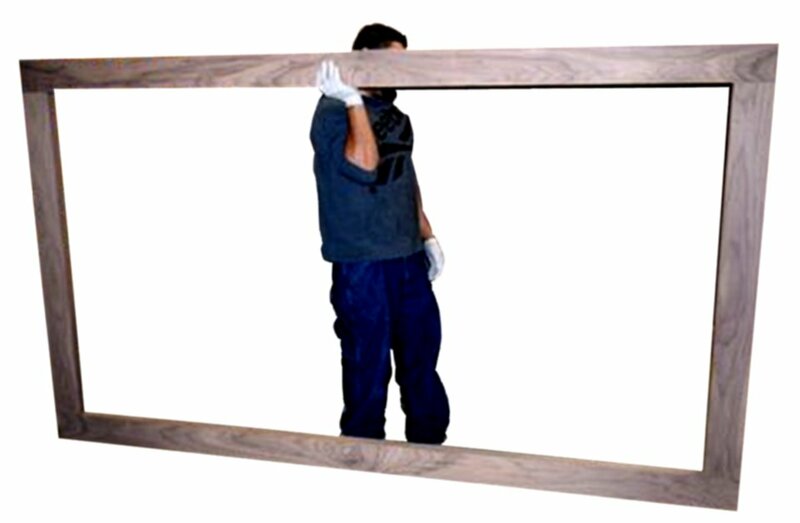 You will usually find doors over 8 feet tall on a list of exclusions at the end of the contract because “all big doors warp” unless they have Sing Core inside. This project called for a 14-ft tall stile and rail French door. As you might expect, doors engineered and built with Sing Core inside are normally one solid piece with the lite opening cut out of the solid door substrate. This large French wooden door project called for a full stile and rail approach to building the architectural door. 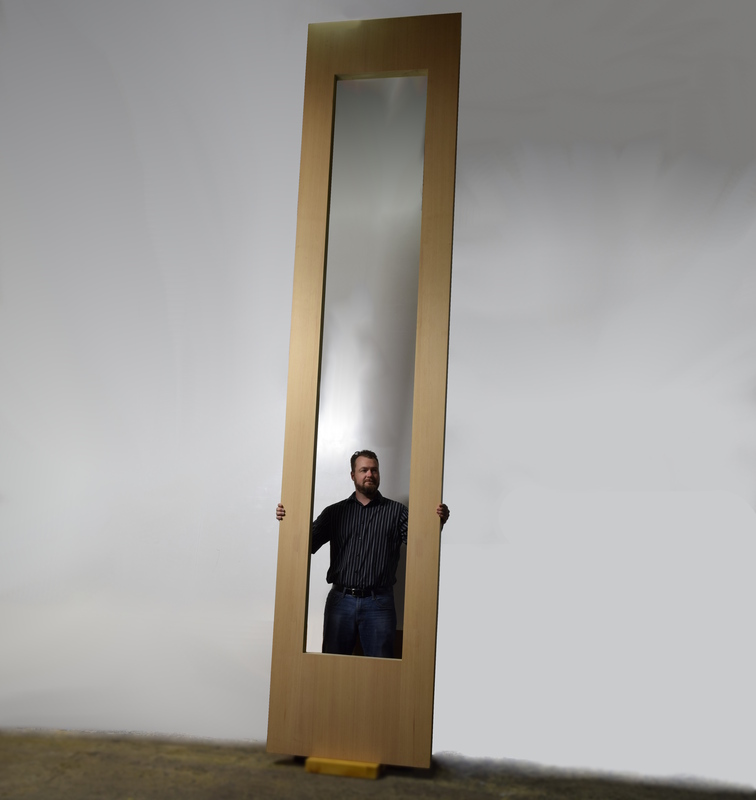 Thanks to patent-pending door technology to support inventor Peter Sing’s non-warping-door claim to fame, the impossible is able to come to life, even in when approaching the door design from a stile and rail approach. High end architects, designers, millworks, and the best custom door manufacturers in the USA rely on Sing’s expertise to bring their unique enormous door ideas to life, without the burden of having to rely on expensive door maintenance contracts. Sing has the particular long-standing reputation for making large doors that are lightweight (one-third to ten-percent the weight of other solid core doors), fully insulated for battling exterior door exposure to the elements and increased climate control, not to mention sound deadening capabilities, yet stronger than steel pound-for-pound. No other door in the world can rise to such claims. Even though Peter Sing’s company does not make or sell doors, if you think you must have such a leading-edge technology door in your home or office, it’s not that difficult a task if you know the secrets. The best way, of course, is to have your architect design the door in question and spec “Sing Core inside.” In this way, any door manufacturer can build your door to spec with the appropriate Sing Core technology inside to achieve the results you desire, whether your door is an interior door or exterior door. The next best method for securing a Sing Door you can call your own is to contact the local millwork or custom door manufacturer and order your door, just like you would any other door, only being sure to tell your local vendor that you want “Sing Core inside” your door. Your favorite door maker or local manufacturer will work hand in hand with Sing’s True Flat Team to build a door to meet your specifications and expectations, and your door will come with a 50-year warp-free guarantee signed by the inventor, Peter Sing. These doors are not designed and built for the value-minded individual. They are on the spendy-side of the door pricing spectrum, and maybe that’s why you’re likely to find them in the most expensive homes, military, or government installations. If you are certain that what you want is potentially the best door in the world, and definitely the only one with the world’s best 50-year warp-free guarantee, then possibly nothing less than a large door with Sing Core inside is the only way to make your big door dreams come true.